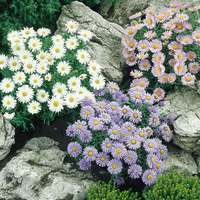 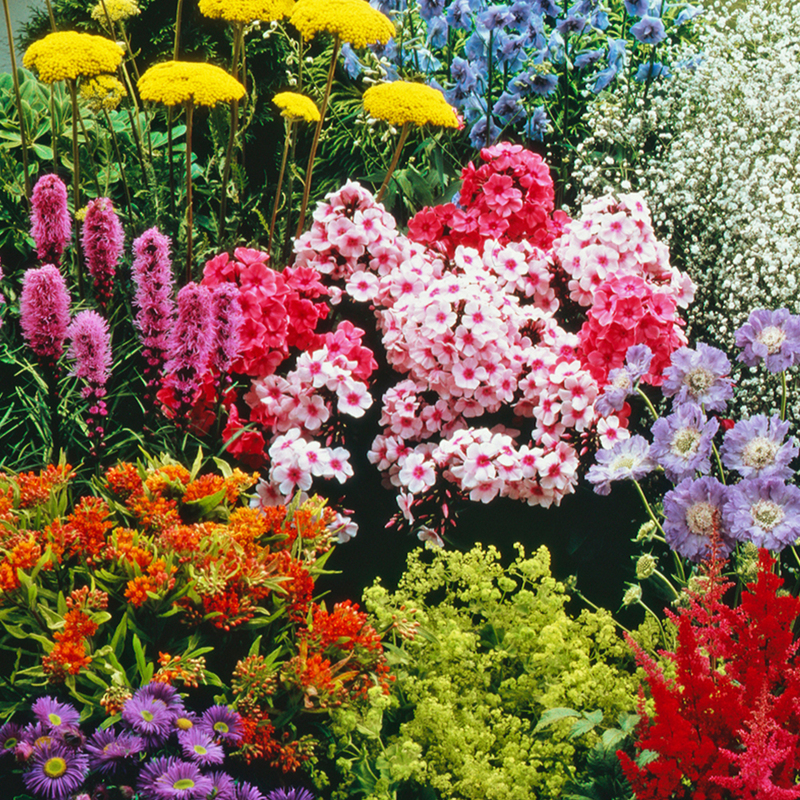 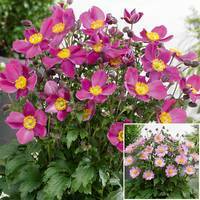 This complete border collection is a great value way to fill your garden and is ideal for any cottage garden display. 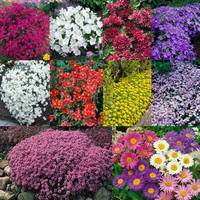 Consisting of 25 plants of many varieties there's a wide mixture of shapes, sizes and colours to brighten up any border or pots / containers on a patio. 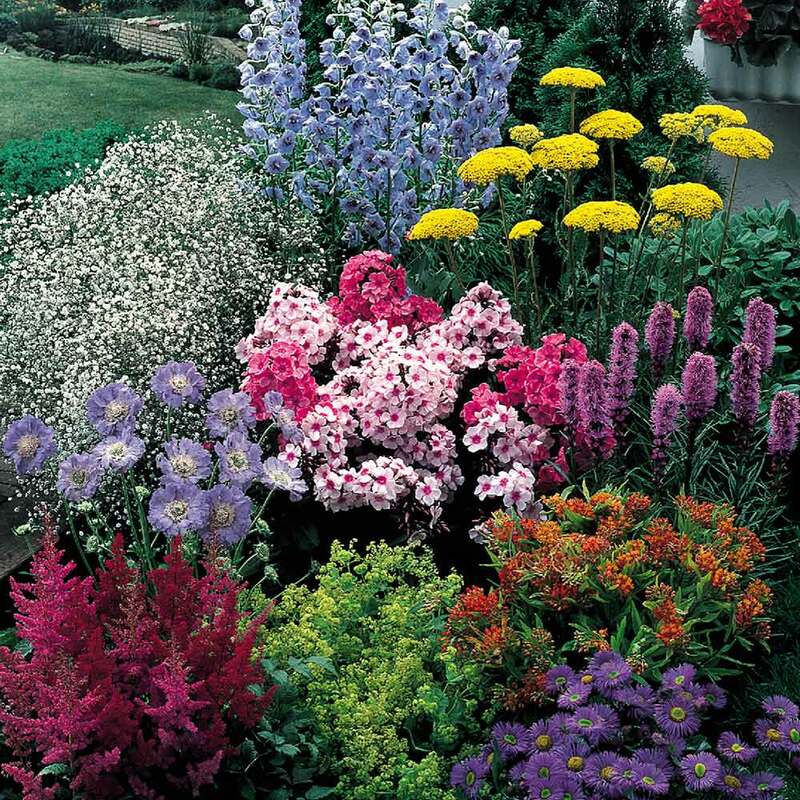 Includes two each of Achillea Cloth of Gold, Delphinium Blue Fountain, Gypsophila Alba, Aster Dark Beauty, Astilbe Red (Loose), Phlox paniculata (Loose) Asclepias Tuberosa, Scabiosa Clive Greaves, and Alchemilla Mollis, plus 7 Liatris spicata (Loose). 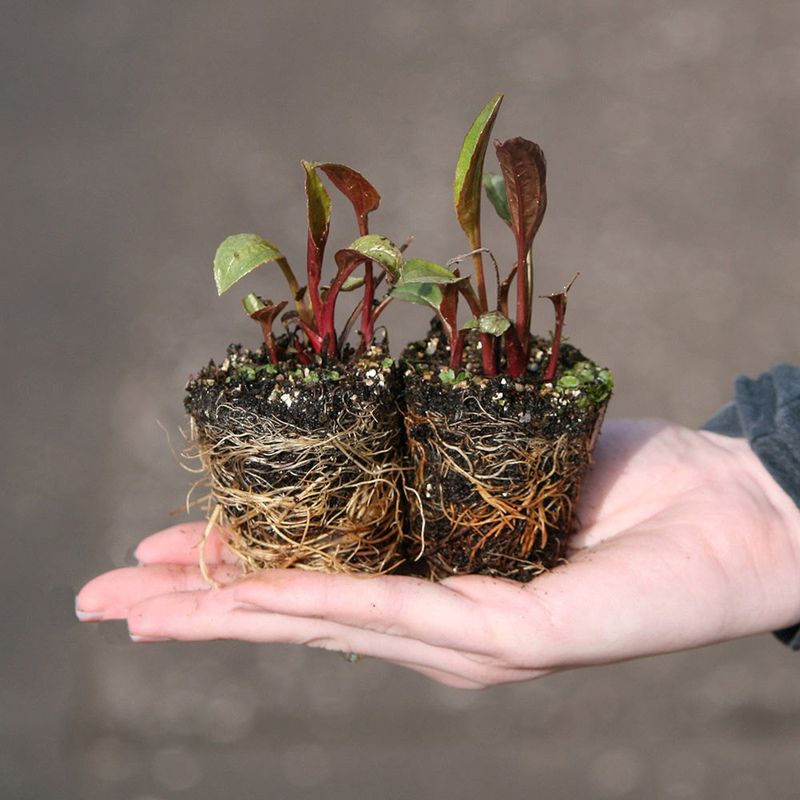 Supplied in 5cm modules unless stated as loose rooted (Loose). 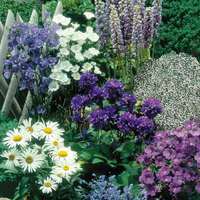 Plant in prepared soil, well dug and containing rotted manure, in a sunny part of the garden.